Liv receives nickname and some hometown love. Yea, yea… you caught us. 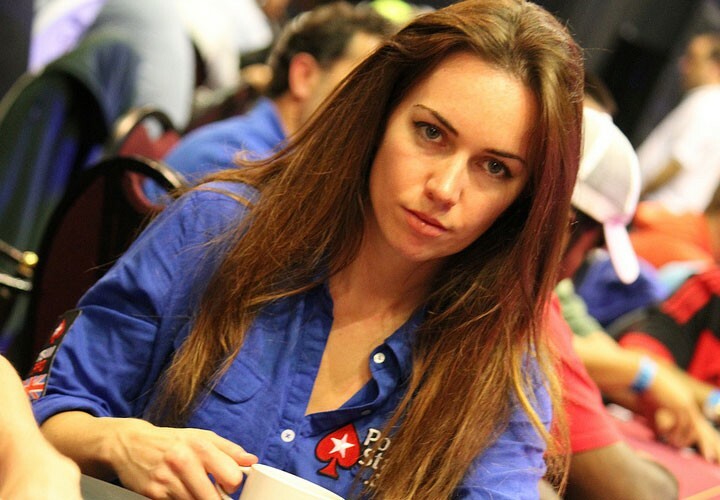 This post may be just a reason to post a photo of Liv Boeree. Also, there’s a couple pieces of information you may not have known. Like did you know Liv is a scholar? We did. By any standards, she’s bright – achieving all A/A* grades at GCSE and A-level, and then gaining her first class degree in astrophysics at Manchester University. As a third year student, she visited Jodrell Bank’s giant space telescope to plot the rotational curve of the Milky Way, the galaxy that contains our solar system. Did you know that Liv thinks Liv is a fantastic player? We figured. “The training I got from physics, the way its conditioned my mind to think, has enabled me to go into such an analytical game,” said Olivia. “It’s what allows me to be a fantastic player”. Did you know that she has a nickname? We didn’t. Nicknamed the “Iron Maiden” because of her love for heavy metal music, Olivia took to playing poker seriously from 2009 and by the following year achieved her big breakthrough winning the European Poker Tournament at San Remo for 1.25 million euros. Anyway, if you’d like to see if there’s more about Ms. Maiden that you didn’t know, check it out. It’s a short and sweet online read that will make it look like your reading something classy, like politics.